Abbreviations: CEMD, Confidential Enquiry into Maternal Deaths; HMIS, Health Management Information System; MDSR, Maternal Death Surveillance and Response; MPDSR, Maternal and Perinatal Death Surveillance and Response; WHO, World Health Organization. 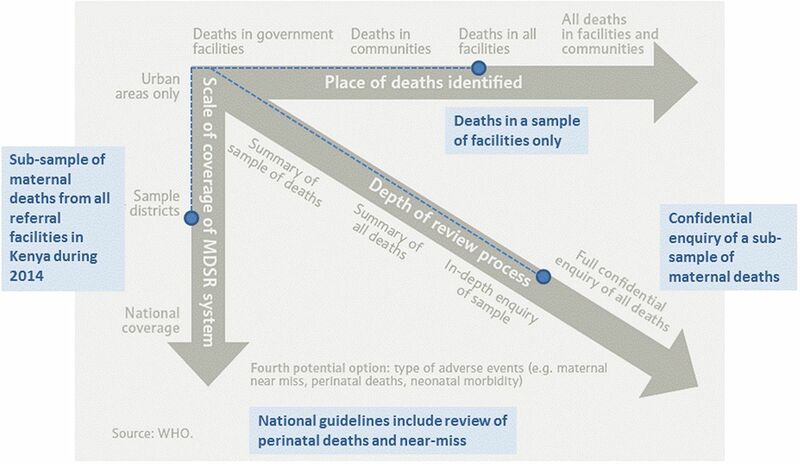 Abbreviation: MDSR, Maternal Death Surveillance and Response. 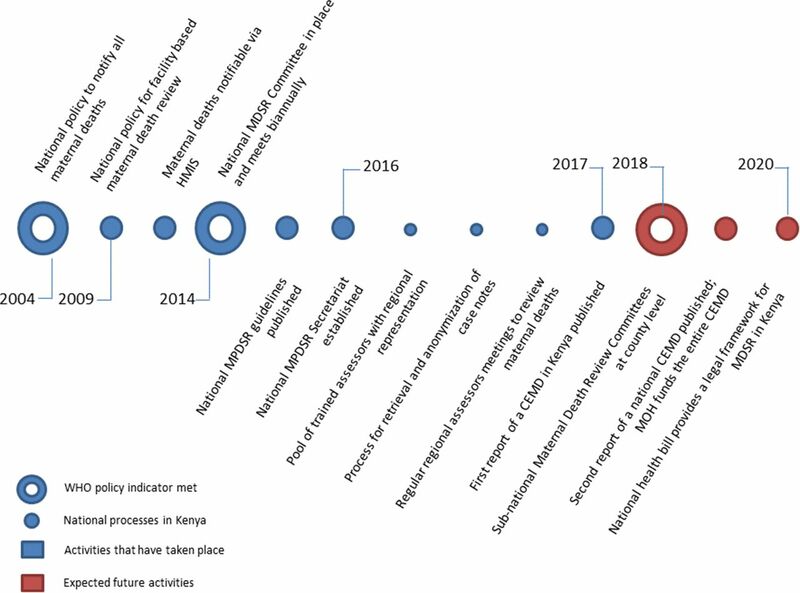 The WHO phased approach1 is shown in gray, with implementation in Kenya shown in blue.